Crossovers might be engorging the market, but there’s been no letting up when it comes to pocket-sized hatchbacks either. We hypothesized that 2017 would be the year manufacturers put the super into supermini, and we were right. After driving the latest and greatest manufacturers have to offer, we picked out our favourite four for an ultimate showdown: Ibiza, C3, Fiesta or Micra? Is bigger always better? 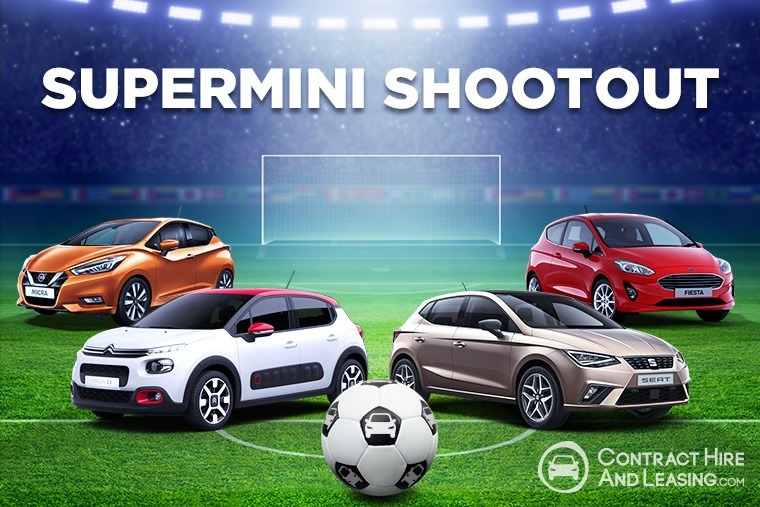 Superminis have come a long way since their inception but, like pretty much every other market segment, every new generation of supermini seems to get less mini. This is something all our four favourites share. What’s more, the Seat, Citroen and Nissan are now available in five-door form only. But which one looks best? Styling is of course subjective, but regardless, you have to stand out from the crowd in such a crowded market place. That’s something all of these cars achieve, albeit in very different ways. In the Ibiza’s case, that means borrowing the grown-up look of its bigger Leon brother. The larger hatchback has been a very successful model for Seat, no doubt in part thanks to its sharp design. Styling is of course subjective, but regardless, you have to stand out from the crowd in such a crowded market place. At the other end of the scale you’ll find the C3. Much has already been said about this car’s quirky looks, and whether you love or loathe those bulging air bumps, you’ve got to admit it stands out and offers something refreshingly different. 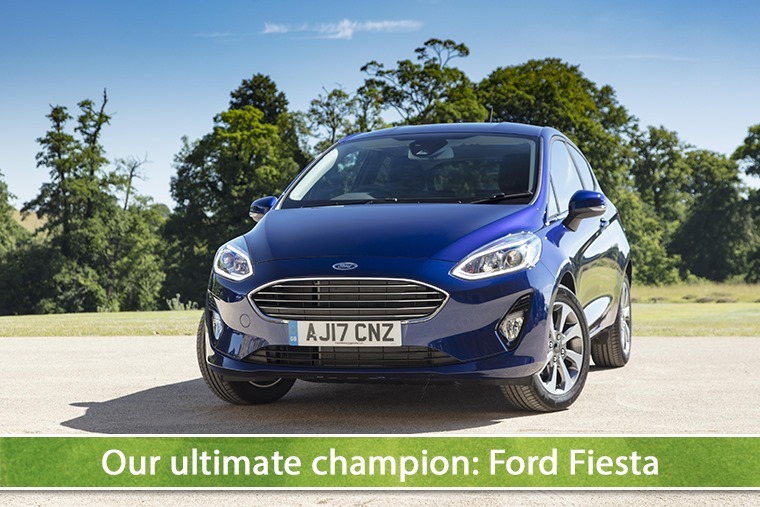 As for the Fiesta, Ford already knew it had a winning formula, so it didn’t want to mess around too much. The headlights are more bulbous, and the rear has undergone a complete redesign, with the stacked tail lights ditched in favour for a fresh new horizontal set. The stand-out exterior design however, has to be the Micra. Let’s be honest, just a few years ago it was an embarrassing egg-shaped shopping trolley that not even your nan would want to be seen in. With larger overhangs and an elongated front end, the new car is as fresh and modern as they come. Scratchy plastics. A complaint that’s plagued many-a manufacturer, particularly the models that make up the cheaper end of the market. But all four superminis in question here are major steps up from predecessors in terms of quality, so much so that one or two of them could happily sit in a class or two above without a worry in the world. But we won’t worm out of it that easily – which one’s best? The Nissan features a crisp, easy-to-use touchscreen infotainment system that we prefer to Ford’s effort. The old Fiesta had a rather complicated looking dashboard. Happily the new model ditches the button-fest in favour of a decent infotainment system. Ford’s Sync3 isn’t the best on the market, nor is it the easiest to use. That said, Ford has future-proofed the Fiesta for another decade with its tech updates and taken quality levels up a notch too. Nissan on the other hand, has taken quality up by more than just a notch; the old car felt flimsy and wasn’t up to expectations at all. The new model however, features a crisp, easy-to-use touchscreen system that we prefer to Ford’s effort. Although there’s a few more cheaper plastics on show than in the Fiesta, it’s a thoroughly quality product. The C3 lags behind when it comes to quality, while its infotainment system can also be a bit laggy compared to its rivals too. However, it does excel on comfort thanks to some armchair-like seats and, with stylish touches and personalisation options, feels a bit of a brighter place to spend time than either the Fiesta or Micra. 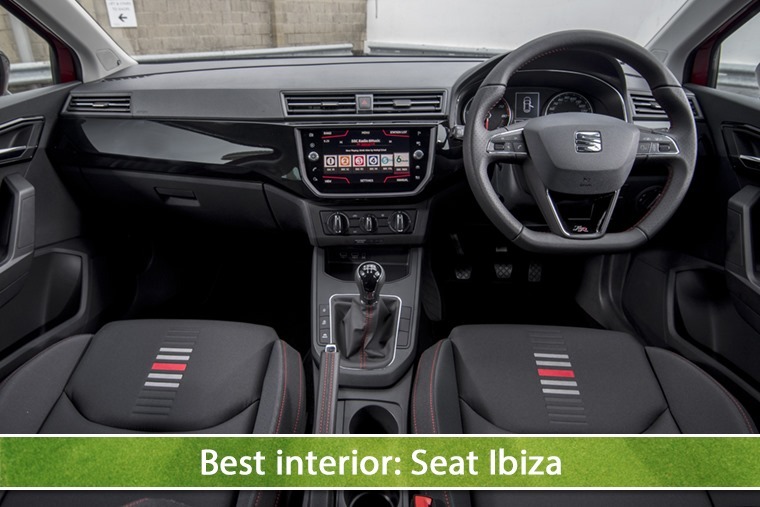 And now the Ibiza… Being part of Volkswagen Group comes with its advantages, and its interior parts bin is one of them. This car really could sit in a class above when it comes to tech and quality; it doesn’t just look like a Leon on the outside, but it feels like one too. The Micra we drove came with a 0.9-litre three-cylinder petrol engine very similar to the Fiesta’s EcoBoost, if a little less powerful. Its happy little thrum and bursts of acceleration make it pretty fun but, while the ride is more than adequate, its damping just isn’t on par with the Fiesta. 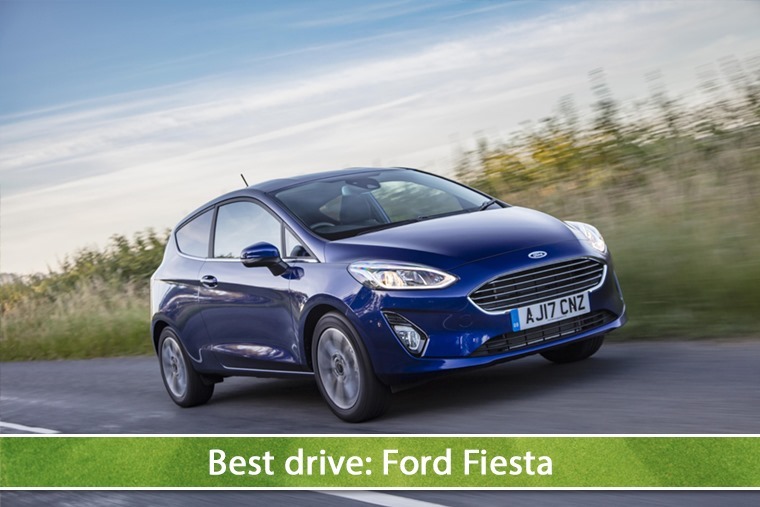 As a result, it just doesn’t feel as ‘together’ as the Fiesta’s drive. Fiesta is still king on the road thanks to revvy and willing EcoBoost offerings and an excellent platform. As we touched on above, if you’re after comfort, then the C3 is the one for you. Steering is slight, although it can get a bit crashy over uneven surfaces. Engines are all decent enough, with the diesel providing particularly admirable economy. The Ibiza isn’t as fun as the Fiesta, nor as comfortable as the C3, but it is more refined than any supermini has the right to be. Quiet engines and an excellent suspension set-up again give the impression this is a larger car. We’d steer clear of the low-powered 1.0-litre we tested though. We’ve put together a table of average lease rates for each of the respective models we tested. All four impress when it comes to actual value for, although it’s worth bearing in mind that some come with more standard tech and space than others. All of them come with a plethora of decent tech on board, but in their lowliest trim levels you’ll find some are better than others; the most basic Micra does without infotainment and air con, for example. In fact based on equipment levels alone, then the Nissan isn’t as cost-effective as the others. All four impress when it comes to actual value, but it's the Citroen that wins if keeping costs down is a priority. Writing this has actually been quite easy. The thing is, lots of comparisons we do often see at least two cars share a platform or, at the very least, an engine. Take a look at our hybrid rumble and you’ll see what we mean. These four superminis however, come from different automotive conglomerates, and as such have their own distinct feel and personality. 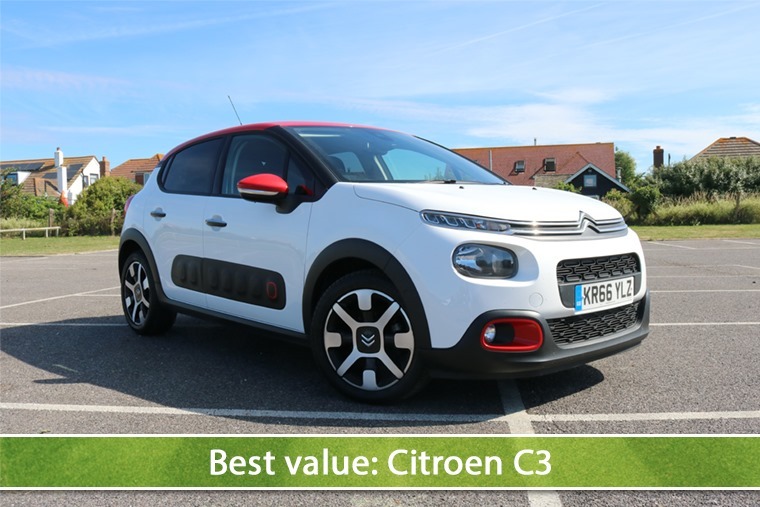 Talking of personality, if you’re after a characterful (and comfortable) car, the C3 is for you. 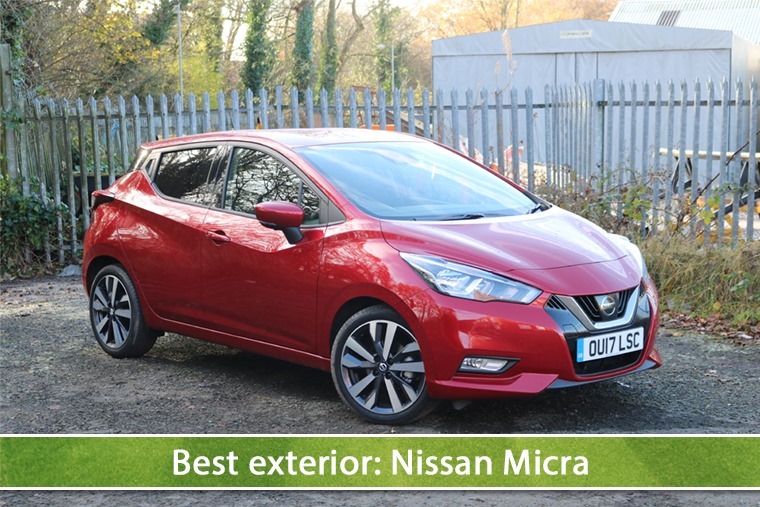 It even won our Supermini of the Year Award at the end of 2016 but, what with the other three being slightly newer offerings, it’s unlikely it’d be the one we’d choose. How about the Ibiza? It’s a great all-rounder, if a little ordinary. Quality is great, refinement is even better. This is the one to go for if you want big car feel in a small car package. Well, for now anyway: there’s a new Polo just around the corner, and Volkswagen couldn’t be outdone by one of its lesser brands, could it? As for the Micra, Nissan deserves a lot of praise for this car. There’s an unbelievable jump between the preceding generation and the new model, now offering good looks, a quality interior and a decent drivetrain. In short, it’s back on par with the top European hitters for the first time in a long time. But is it the one we’d take home? No. Rather predictably, that would be the Fiesta. It’s a great car on the road thanks to buzzy little engines, and comes equipped with everything you’d expect (provided you don’t go with base-spec Style). It remains the country’s go-to supermini, and ours too. Having topped sales charts since 2008, we are admittedly going with the crowd here. As its popularity proves though, it is the definitive supermini, and the new version only serves to boost its long-held reputation as class leader.